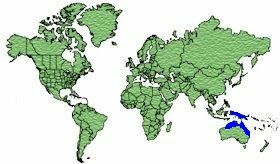 New Guinea and North Australia. 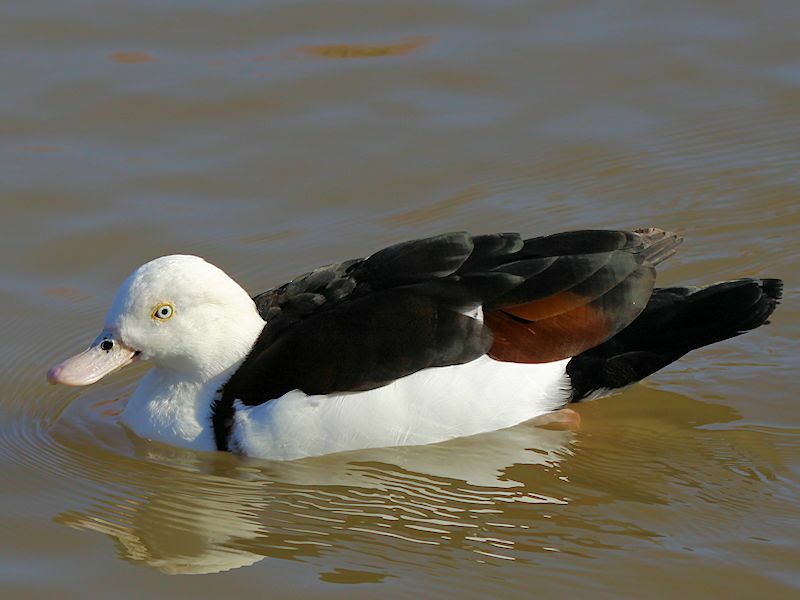 The radjah Shelduck will migrate South in dry seasons. 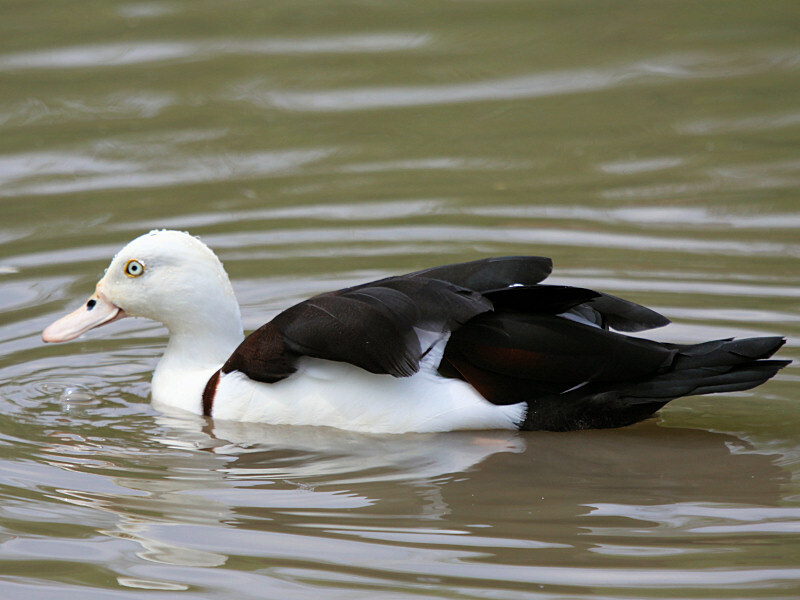 The Male has White plumage with metallic Green on top of their wings, dark wing tips and a ‘collar’ around the breast. 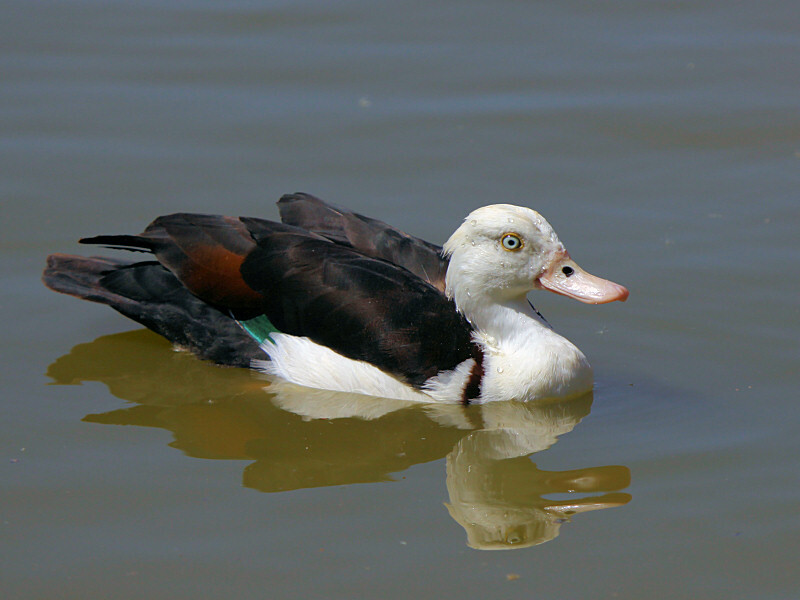 The back and tail is Brown Black, the eyes are a striking White, the bill is light Pink and the legs and feet are also Pink. 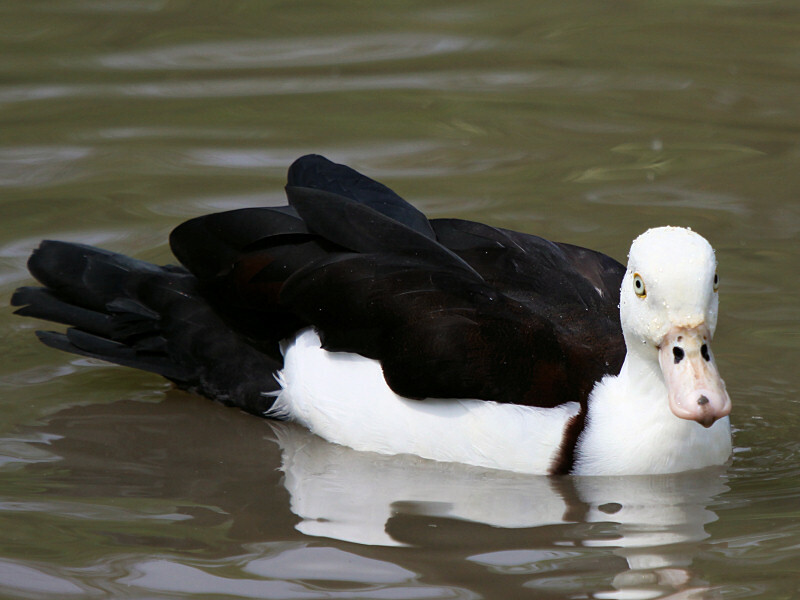 Mangrove Swamps, Lagoons, Billabongs and the Coastline of New Guinea and Australia. 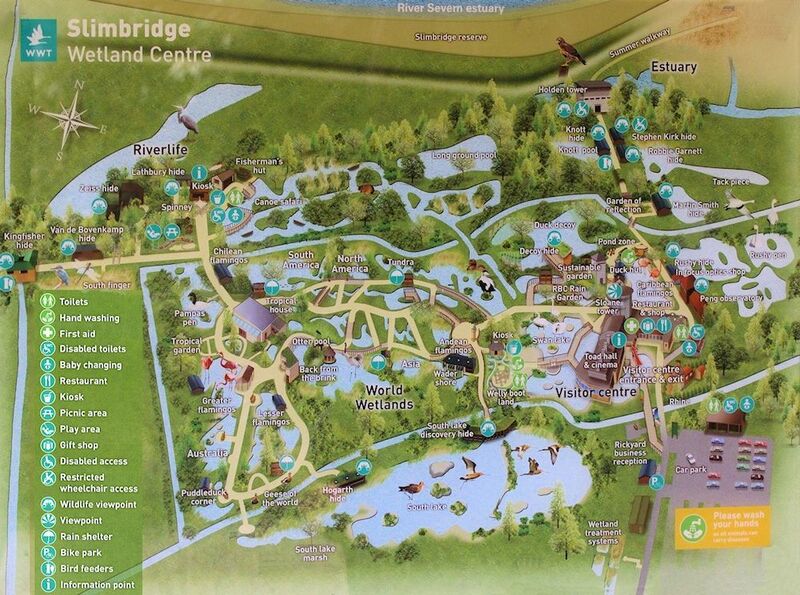 Molluscs, Insects, Sedge and Algae. 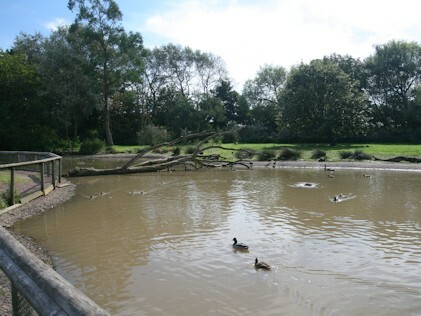 November to May depending upon location. 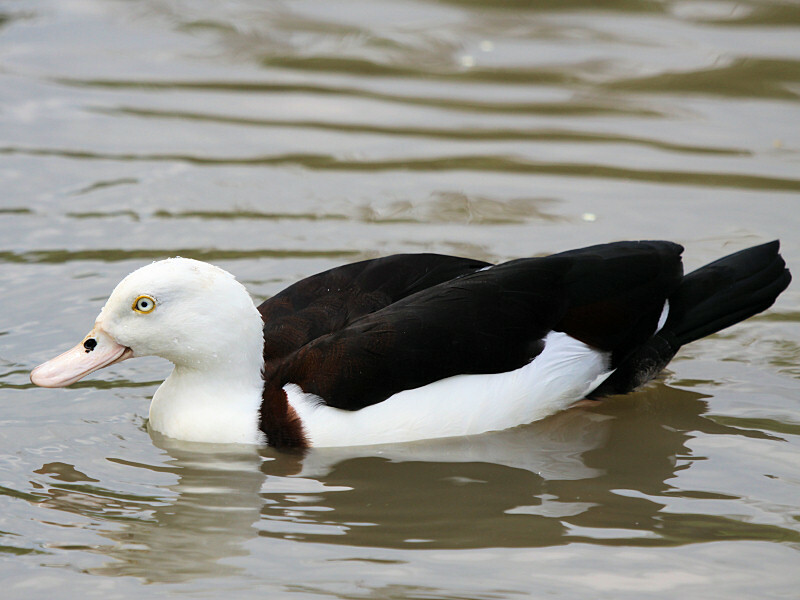 The nest is built in tree hollows lined with down close to a food source. 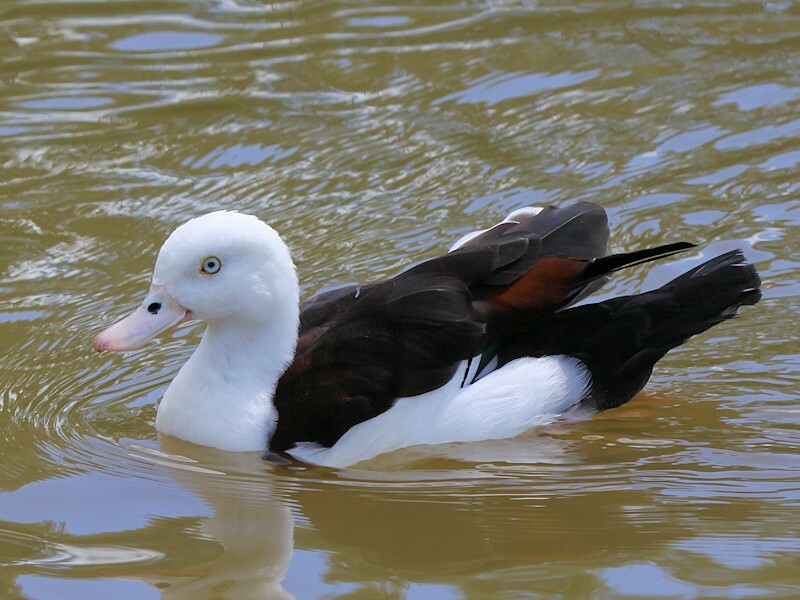 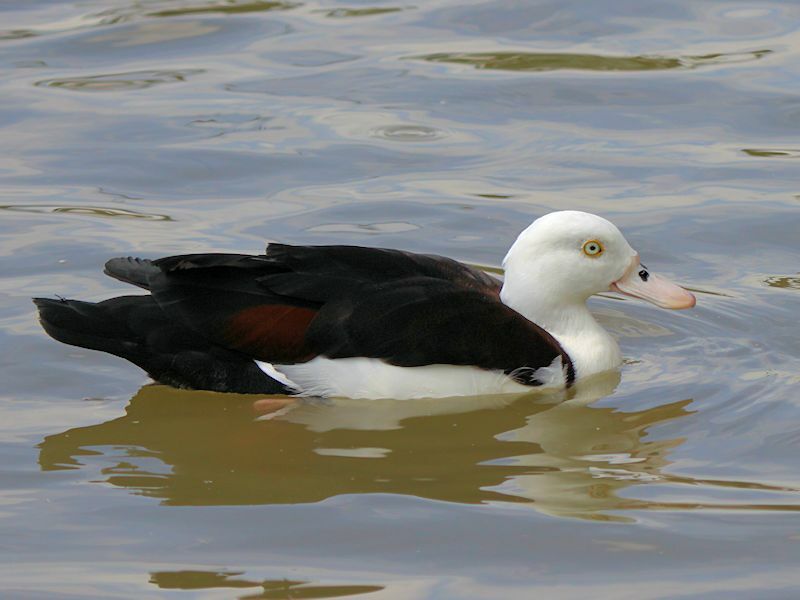 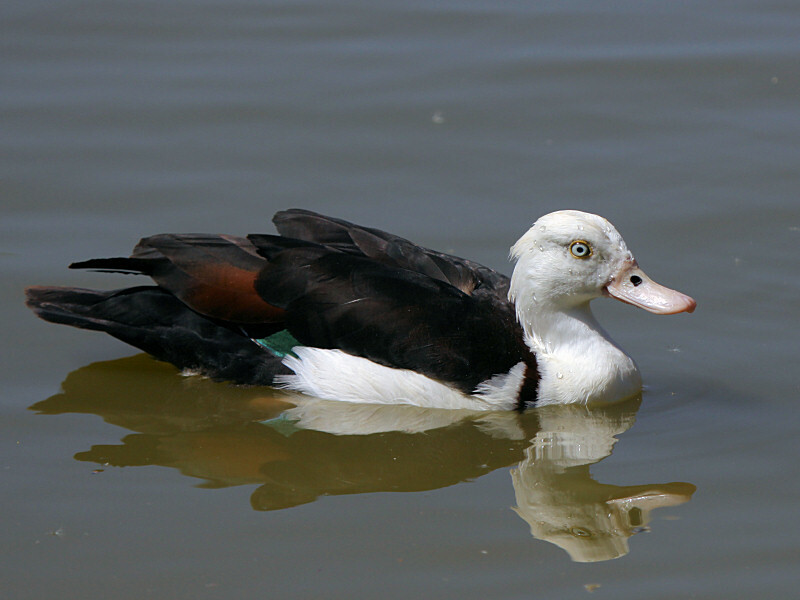 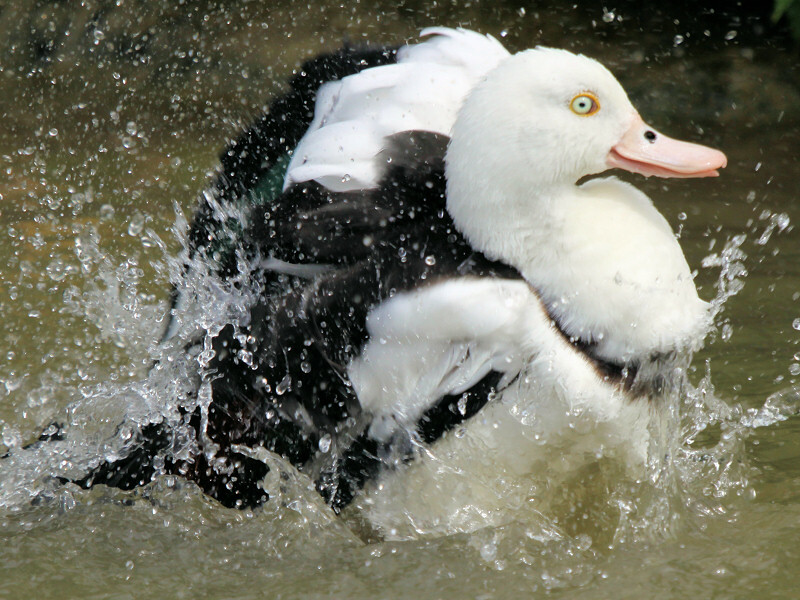 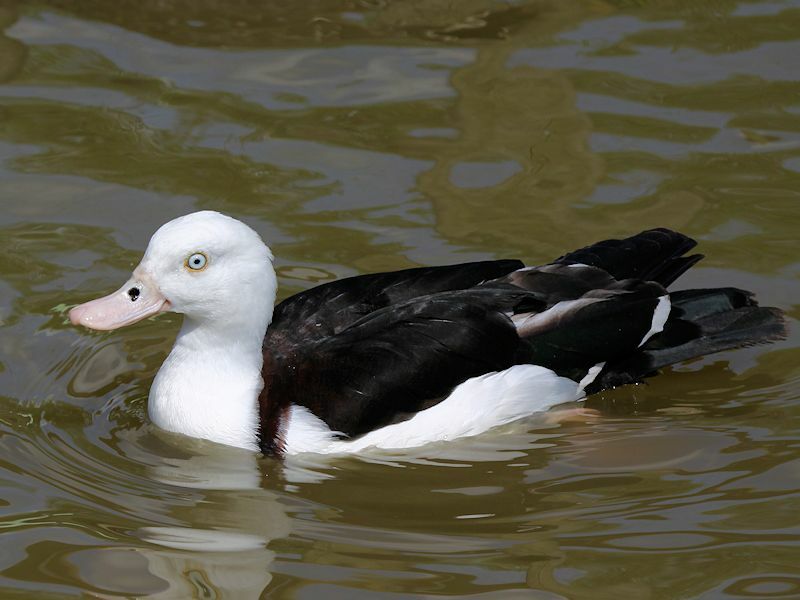 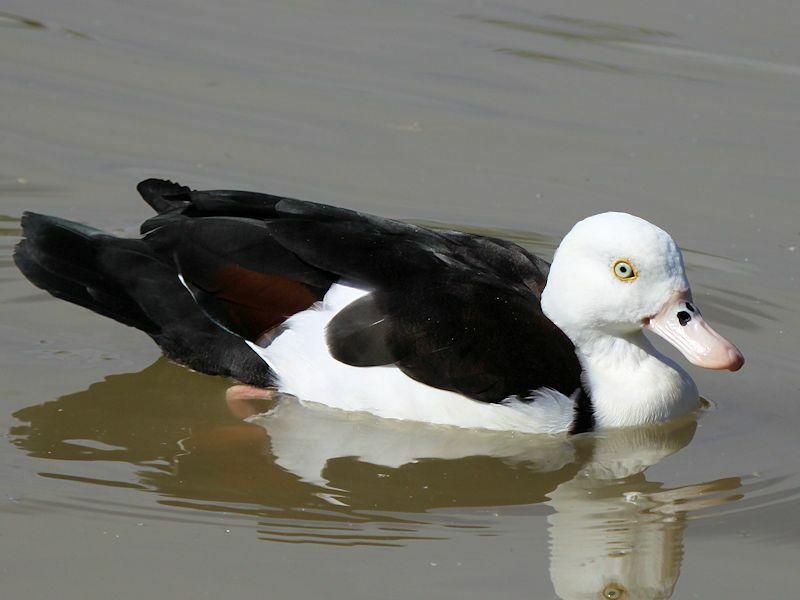 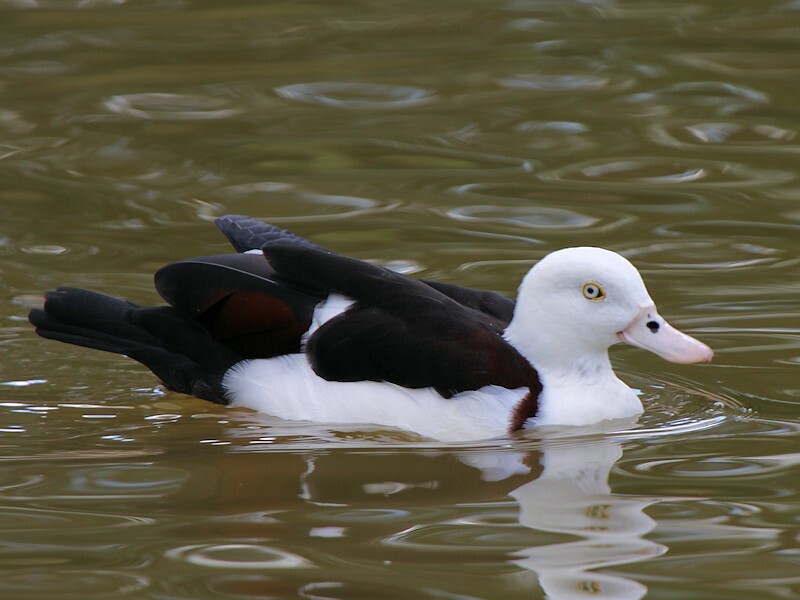 The Radjah Shelduck or Raja Shelduck is also known as the Burdekin Duck in Australia and is a shelduck. 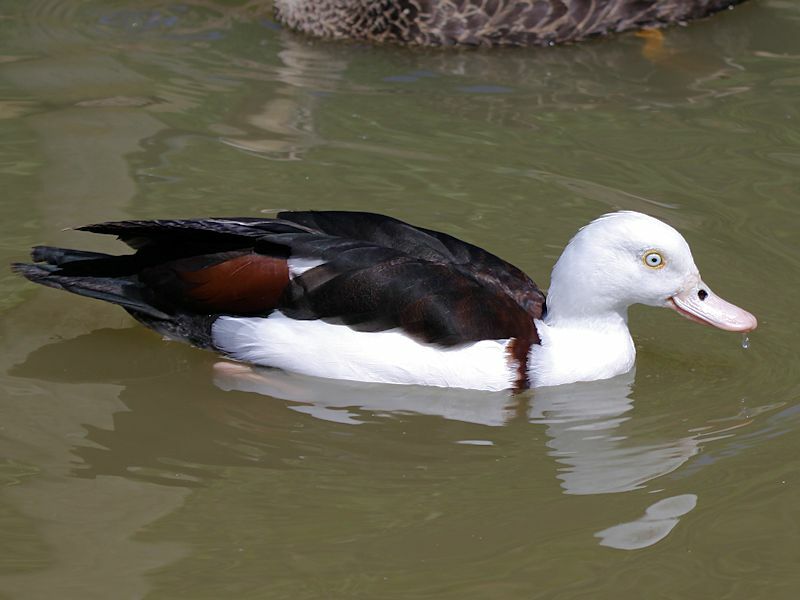 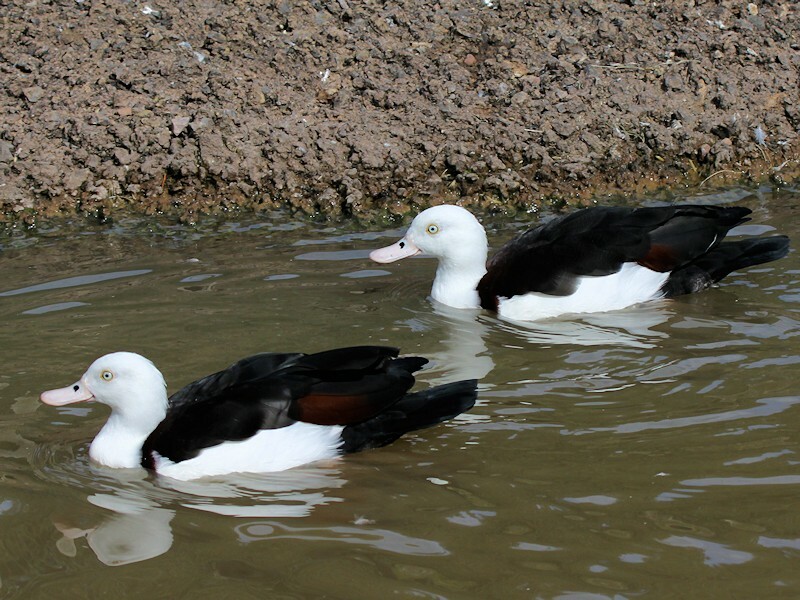 The Radjah Shelduck is usually seen in pairs or small groups and are extremely territorial. 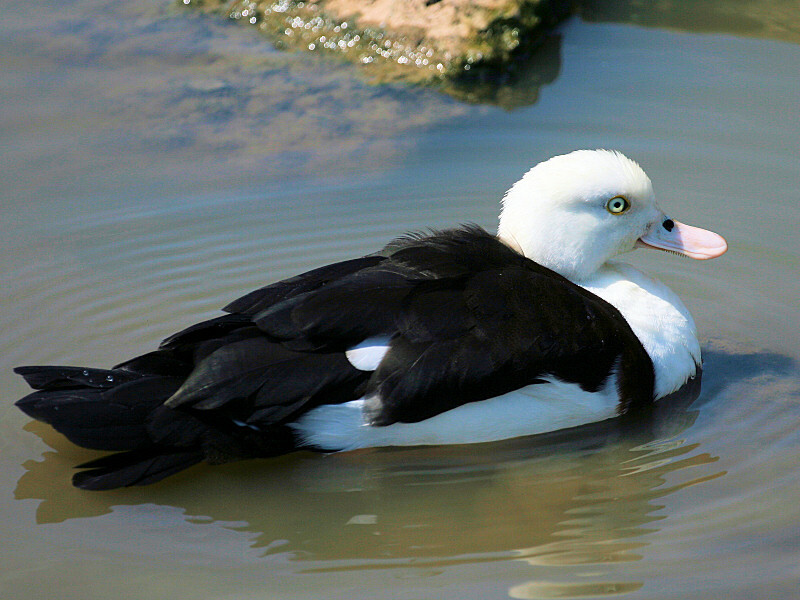 They rest during the day and are often seen perching in trees near the water. 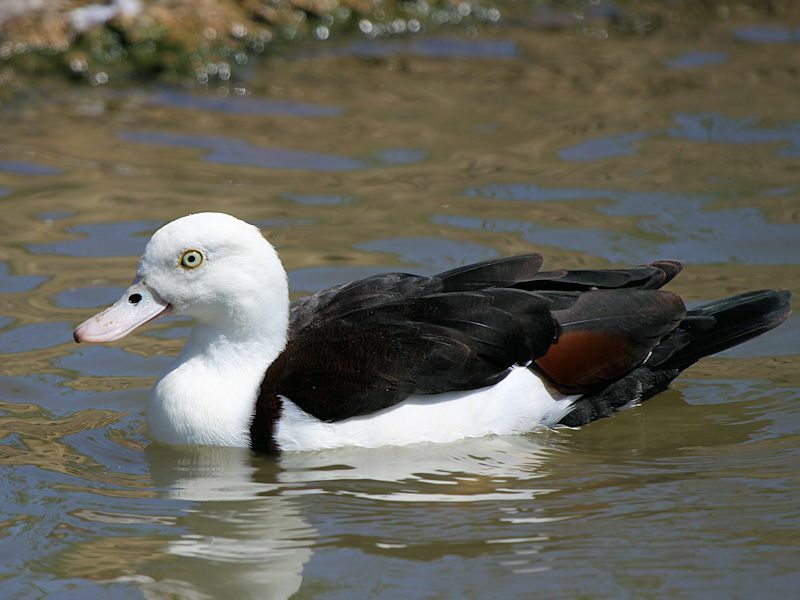 They are not currently threatened and are classed as Least Concern, however, they are protected in Australia resulting in harsh penalties if they are hunted or disturbed.